This evening I decided it was time to finish the project and see once and for all of this is something I am going to be able to do. After yesterday's struggles, I kind of procrastinated a bit and didn't get started until around 5pm. As you can see, th ose solder points look much better - still not the neatest and it's obvious I'm a beginner, but it's a big improvement. 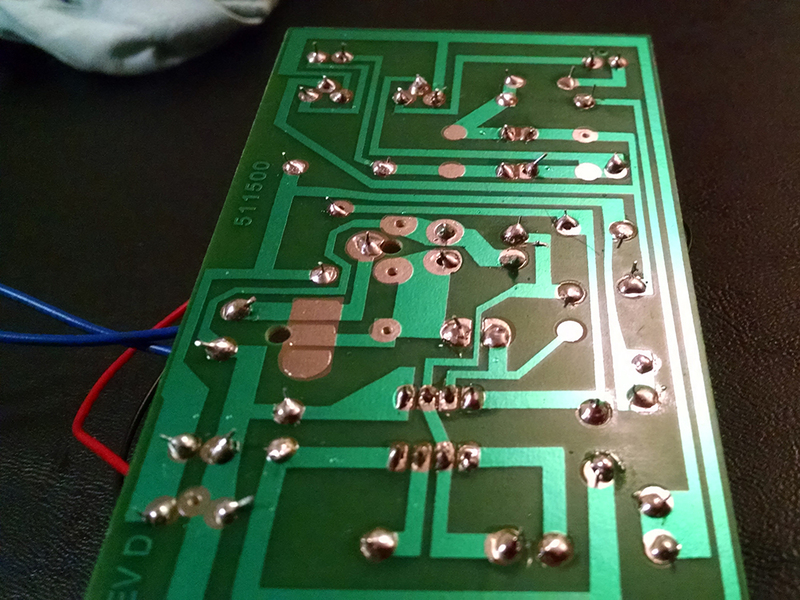 I managed to solder some pins that were fairly close together without shorting anything out and, aside from needing to go back and re-solder one joint, everything made good, solid connections. Best of all, it worked on the first try. Useless project? Yes. But I do have to say that it's a great beginner/learning project, both for learning about electronics and for learning how to solder. I would highly recommend this kit for the curious and well-supervised child. For the price, I think it's a great kit. And now I can confidently order the parts for my Planck keyboard and not feel like I'm about to waste a bunch of money on something I'm just going to short out or be incapable of finishing.